Formulated to provide extra protein and fat for dogs that need that extra energy in their diet due to their level of activity or living environment. Available in mini chunks. 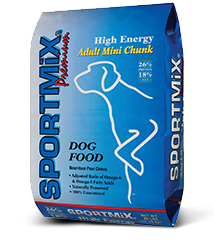 Designed to provide extra energy for highly active dogs that require more protein in their diet. 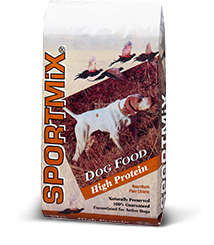 Working dogs, high-strung breeds, or any dog under stress will highly benefit from the Sportmix Hi-Pro formula.